Dolphin Street consists of 200 metres of unremarkable two-up, two-down terraces in Newport, South Wales. I moved there in 1982 because the rent was cheap, and I’d enrolled to study documentary photography at the local college of art. I was excited by the possibilities that the course offered, but unimpressed with my new surroundings next to the muddy River Usk. Overlooked by a large Victorian primary school, Dolphin Street’s most notable features were the pub that sat on the corner with the main drag down to the nearby docks, and the Yemeni café next door. 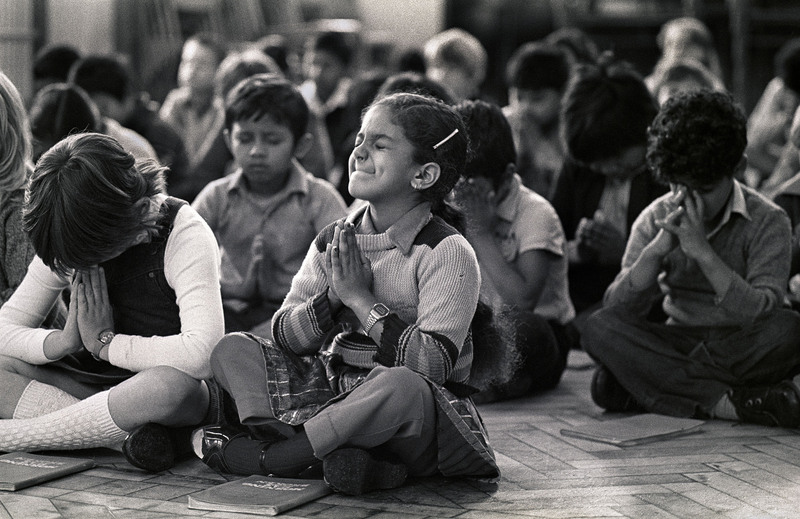 A young Yemeni girl at school assembly in the docklands area of Newport, 1982. It was the best move I ever made. The dockland area was full of rows of outwardly nondescript streets similar to mine, but home to people with extraordinary life stories that connected Newport to the rest of the world. Local coal had once fuelled ships ferrying cargo all over the globe, with crews hired in Kingston and Karachi, Aden and Bombay. Once docked in Newport, many sailors had to find a new ship to work on, and between voyages they stayed in boarding houses, such as the rooms above the Yemeni café. Some also found jobs ashore, and were later joined by their families. My neighbours in Dolphin Street included several Yemeni families, as well as people from islands across the Caribbean, from India, Pakistan, Bangladesh, Mauritius and China, as well as the Welsh, Scots and Irish. A houseful of English students was hardly noticed. 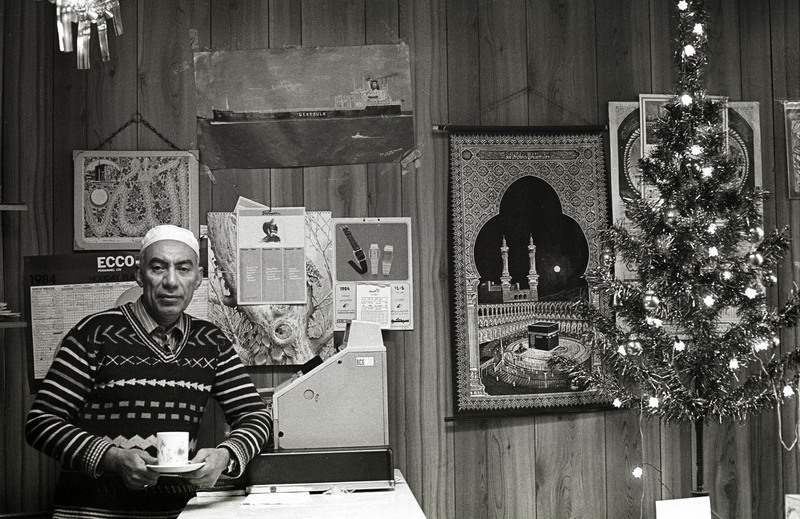 Yemeni café owner in the dockland area of Newport. He provided food and board to Yemeni sailors working on ships carrying Welsh coal to Aden. Until its independence in 1967, Aden was part of the British Empire, serving as a huge bunkering station to fuel British ships sailing to Bombay and beyond, 1982. College taught me that good photography is very often about good access. I started taking photos in the school, the pub and the café, and I discovered that free prints acted as a backstage pass to people’s everyday lives. I was invited (or sometimes invited myself) to weddings, birthdays and BBQs. Kids along the street called me the ‘photo man’, and in some households I became just part of the furniture. Getting access to the ordinary offered the most extraordinary opportunities for me in my early attempts to make interesting photographs. 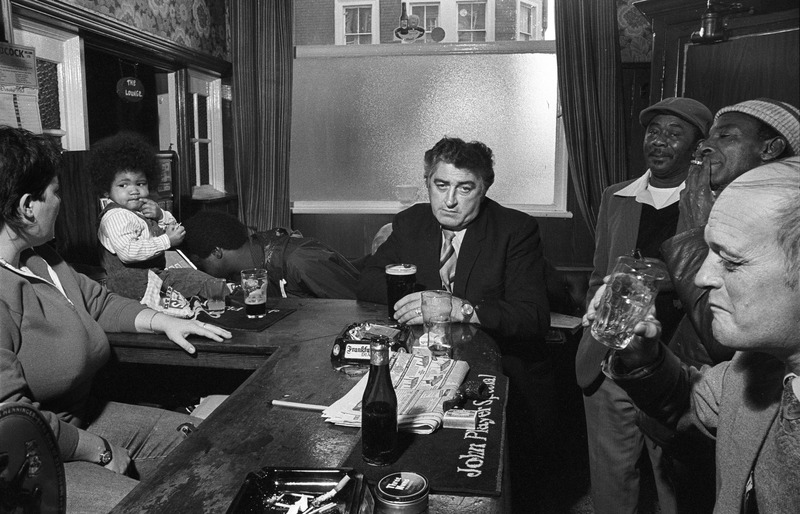 Drinkers at the Commercial Inn on Dolphin Street. 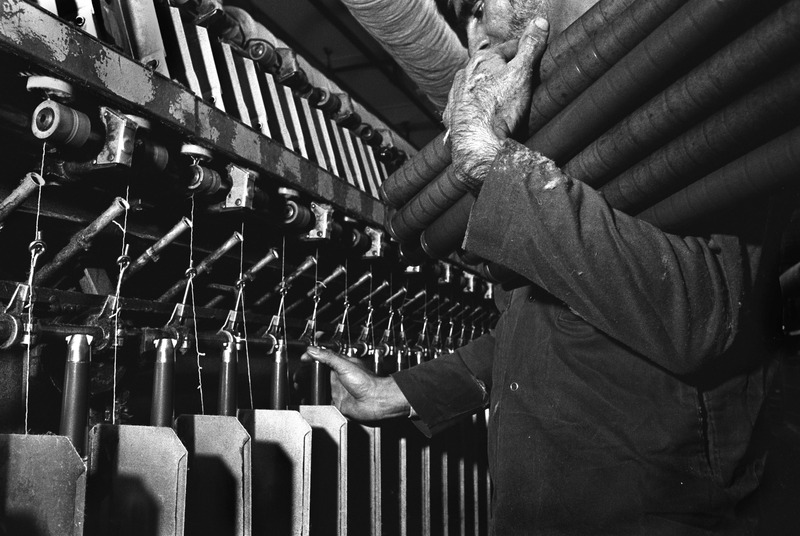 A British Pakistani man working in a Bradford spinning mill during the 1980s. I left Newport in 1984 with a set of pictures shot on Dolphin Street that formed my first ever exhibition, held at the Commonwealth Institute in London. This portfolio also landed me a job in Bradford, working for the Bradford Heritage Recording Unit, which used photography and oral history to produce exhibitions and publications that reflected the lives of local people. Bradford was once the wool textiles capital of the world and many of the communities that had come to the city from overseas, such as those from the Asian sub-continent, were familiar to me from my days in Newport. Others – such as the Poles, the Ukrainians and the Italians – presented a new set of stories to be told. 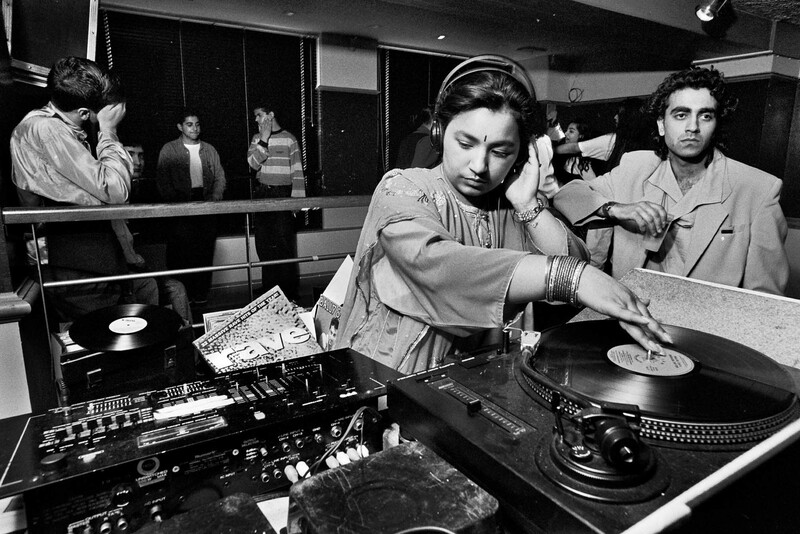 The DJ Radical Sista hosting a ‘day-timer’ in a Bradford nightclub during the heyday of these music events in the 1990s. Day-timers were held in the afternoons for Asian teenagers who may not have been allowed out during the evenings. More than thirty years later I’m still based in Bradford, and exploring stories of migration remains a recurring theme for me. I’m fascinated by individual life stories that often depend on chance and circumstance, but are also shaped by the broad sweep of world affairs. The international networks created via trade and the British Empire, the Second World War, the Partition of British India and the break-up of the Soviet Union are a few examples of global events that have had a profound effect on Bradford’s cosmopolitan communities, and on modern-day Britain. In the run-up to Ukraine’s declaration of independence in 1991 the streets of Kiev were crowded with people engaged in political debate. 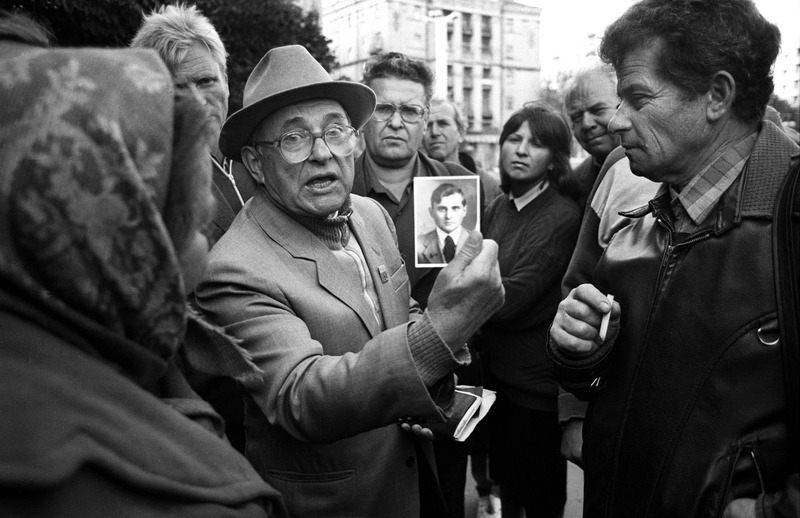 This man is making a point to supporters of the old Communist order by brandishing a picture of himself as a young man taken shortly before he, along with millions of other Ukrainians, had been sent to Stalin’s labour camps. The ambition of much of my work is to weave together the historical narrative with personal stories, while exploring connections between Britain and the rest of the world. Photography, oral history and film making are great tools for this, and act as my passport. I’ve had the privilege of meeting many remarkable people who have shared their stories and those of their communities, both here and overseas. 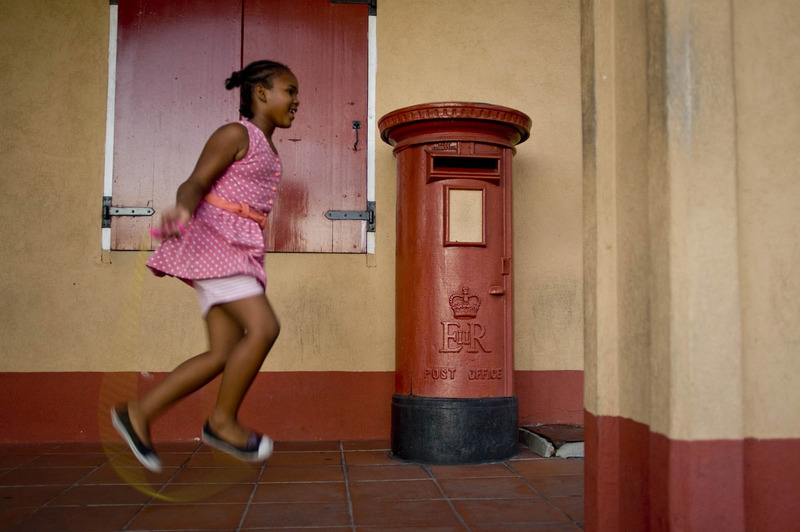 Conversations started in Britain have often been continued in eastern Europe; on islands across the Caribbean; in west Africa, east Africa; and in India, Pakistan and Yemen. The former Post Office on the seafront at Roseau, capital of Dominica. This island is the original home of the majority of Bradford’s Caribbean community. My most recent journey took me to Gujarat and Mumbai, an area from which around 50 per cent of the British Indian community originates. The resulting exhibition, India’s Gateway, explores the history of Gujarat and Mumbai as age-old centres of global trade and migration, and focuses on the region’s remarkable relationship with Britain. 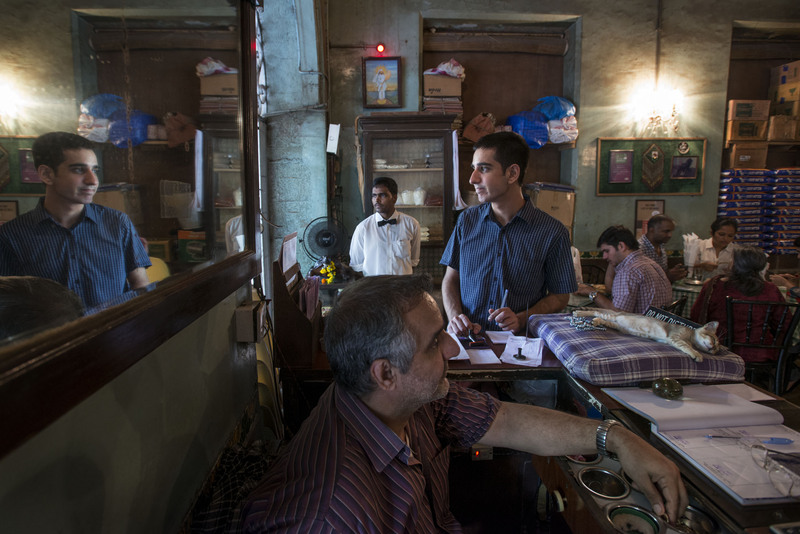 Staff at the Britannia and Co, an ‘Irani café’ in the genteel Ballard Estate business district of Mumbai. Established by Parsis – Zoroastrian immigrants from Iran – during the days of the Raj, there were once almost four hundred such cafés. Now, fewer than thirty remain. 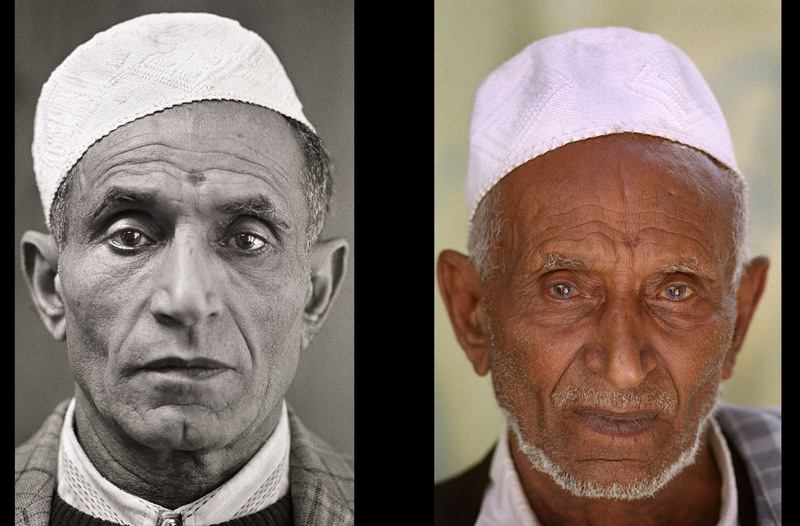 I’ve also made several trips to Yemen to make the photographs for a book called Coal, Frankincense and Myrrh: Yemen & British Yemenis. In the course of my journeys seeking out former sailors, steel workers and shop keepers – many of whom have retired home to a string of villages just north of Aden – I had a chance roadside meeting with Fayed Ali. I’d first photographed him in the café in Newport in 1982. It was great to catch up with him over a cup of tea and talk about the town that neither of us had visited for over a decade. That conversation rekindled my curiosity about Dolphin Street. During a recent trip to Wales I went back, to discover that the Yemeni café is now a Czech-run mini-market. The migration story moves on, and much work remains to be done! Fayed Ali, a former sailor who first arrived in Britain in 1948. He worked for British Rail for many years, manning trains on the Swansea to Newcastle line before retiring to Yemen in 1993. 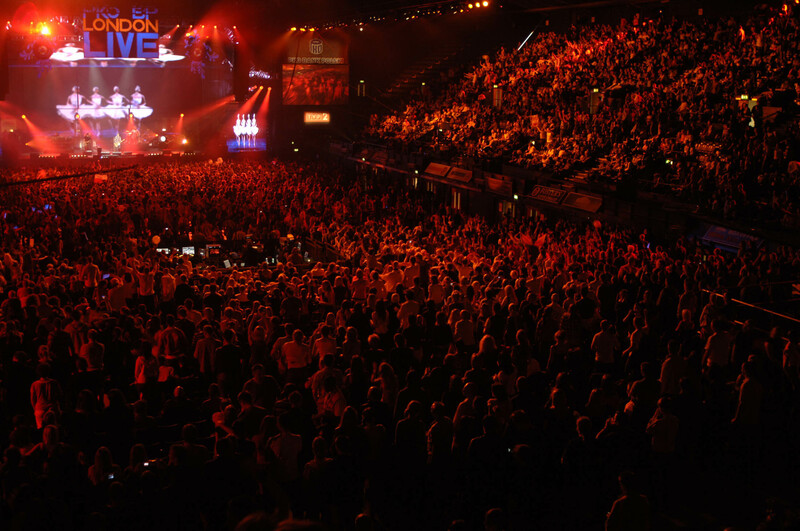 The Polish band Wilki on stage in front of 12,000 young Poles who filled Wembley Arena for London Live, billed as the largest Polish music festival ever held outside Poland. 2008. If you are interested in seeing India’s Gateway – which tours to London, Leicester, Kirklees, Bradford and Blackburn between July 2015 and July 2017 – please e-mail Tim. For information on Tim’s books on Yemen, Ukraine, the Grand Trunk Road and Asians in Britain see here.